“I’ve got a crazy idea,” Stu proclaimed on the long drive home from the encounter. Months later, Stu’s “crazy idea” became law. On October 10, 2015, California Governor Jerry Brown signed AB 219 (California Labor Code § 1720.9), a law that would provide that all ready mix drivers in the state who deliver to publicly funded jobs would be entitled to prevailing wages for that work. 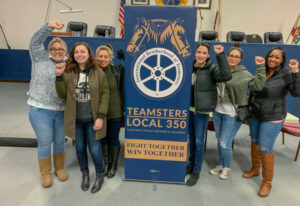 For decades, our signatory ready mix companies have pleaded with us to “level the playing field.” Leveling the playing field, to the employers, meant they wanted us to organize non-union ready mix companies to reduce the gap in wages and benefits between union and non-union employers. The passage of AB 219 did just that. You would think our signatory employers would be delighted. Quite the contrary. From the time of the bill’s signing by the governor, until September 20, 2018 – nearly three years – ready mix employers (union and non-union) from throughout California mounted challenge after challenge that ranged from fact-based to silly. Mostly, they complained that record-keeping would be an unsurmountable task, costing them money, customers, time, etc. The truth is that AB 219 took money out of the pockets of the non-union bosses and gave it to their workers. The employers’ final challenge (hopefully) was argued before a three-judge panel at the 9th Circuit Court of Appeals in Pasadena on March 7, 2018. Each side had just a few minutes to make their best case. Then it was up to the judges. AB 219 was not universally accepted from the union side. Some members didn’t like raising the wages and benefits of non-union competitors without unionization. While the concerns are real, they are misguided. Elevating the wages of non-union ready mix drivers would mean that their employers would have to bid on jobs fairly – unlike before when they could underbid jobs – resulting in signatory companies losing work. 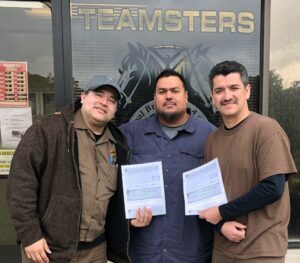 AB 219 should be a major asset to organizers, particularly in Southern California and Nevada where the Teamsters are mounting a “Demand Your Worth” organizing drive. Our new law also gives non-union ready mix drivers a tangible taste of what it’s like to be paid what they are worth, making unionization a bit more attractive. 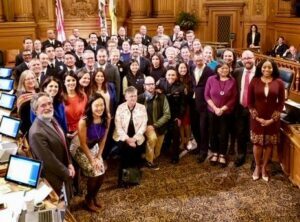 Finally, this overwhelming victory was realized because many, many good union people took Stu’s “crazy idea” to the legislature, the courts and the union halls. 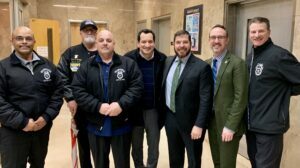 Special recognition to Barry Broad, our “guy” in Sacramento; Cesar Diaz from the State Building and Construction Trades Council; Assembly Member Tom Daly; Joint Council 7 Political Director Doug Bloch; and everybody who lobbied with us.